It is fair to say that I am not a well travelled man. Leaving the house for the airport on the day of any of my few jaunts is usually the cue for the onset of homesickness. I may be exaggerating a little, but I rarely last more than three days away before I'm beginning to pine for home. Having said that, the first few days away are not without a modicum of excitement; I almost always set out as if I were in Bear Grylls boots and, within that small time frame, end up wanting to ease into Homer Simpsons slippers, doh. The scene for this short tale was a sport psychology conference in Madeira, (July 2011).The conference was well organised, my room was spacious and the view from the room was stunning, with panoramic, uninterrupted views over the mighty Atlantic ocean. In fact, the location was, as they say, "boutique". The climate was warm and sunny. Walking around the sub-picturesque town of Funchal felt like taking a bath in “feel-good” heat whilst experiencing pockets of history dotted between the more commercial, “touristy” offerings – a genuinely pleasant environment. Over the years I've come to realise that I have a work ethic that, whilst not always immediately apparent when on home soil, kicks into gear big time when I'm away. I find it quite hard to take any "down time" when I'm at conferences - I'm up in time for whatever, symposia, keynote speech, or presentation kicks off the day, and I'm there at the death when many others have eased away in time for early evening cocktails, a preparatory gym session for the evenings' activities, or a late afternoon dip in the everlasting pool. One of the consequences of inhabiting this professional persona is that I am usually knackered at the end of each day. Indeed, by the end of the third day I am usually approaching a level of exhaustion that I would normally associate with recovery from minor surgery. Late on the evening of the second day, after having had a passable meal with a fellow academic (a well known psychologist and accomplished jazz pianist) I was wending my way back to the hotel. The evening hadn't been without its surprises. These included an al fresco assault in front of the restaurant punters (with full attendance of armed police and the Madeiran equivalent of a "paddy wagon"), and a revelation from my colleague that he had volunteered himself (on piano) and me (on guitar), as "entertainment" at the closing ceremony - an on-stage performance in front of up to 400 academics from around the globe! So it was with a mixture of bemusement, a frisson of excitement, some trepidation, and a by now familiar weariness, that I entered my hotel. The initial intention was to go straight up to my room and hit the proverbial sack. However, in order to get to my room I had to pass one of the Hotel bars....my resistance was low, I needed a little space to process what had occurred, just a small whisky.....well that was the intention. The bar was almost empty and apart from the barman there were just two other people present (a couple in their late 40’s, early 50’s). Two things struck me about the bar. The first was how beautiful it seemed; the all glass facade opened out onto the full, panoramic spread of a silvered Atlantic. The moon was full and there was a slight breeze offering a faintly Taliskan respite in the balmy, late evening. If I remember rightly there was even a large yacht silhouetted on the horizon. The second thing that struck me was the music. My ears weren't assaulted by some poorly recorded, native, culturally appropriate folksy mish-mash (that even the locals wouldn't listen to). No, I was listening to Flunk's version of Blue Monday (a cover version that takes an exquisite original, removes the seductive, grimy, pulsating, hypnotic 80's veneer and replaces it with something altogether more ethereal, more seductive, more......appropriate to my status as "mysterious traveller") - the seeds of a few drams were being laid before my ears! On approaching the bar for the first time my eyes weren't drawn to the various beers that might be on offer but were directed firmly at the whisky shelves. Well, not to the shelves themselves (I am as far removed from being seduced by a poncy shelf aesthetic as you can get), but to the contents of the shelves. This bar had potential. I could see approximately 28 whiskies (OK it wasn't an approximation; I am clinical when it comes to totting up the drammage). But more to the point, not only was there a reasonable selection, there were many that I had yet to sample - even better. .........A dull, concussive pounding inside what can only be called my dislocated head, and a forensic examination of wallet and pocket the following afternoon indicated 3 things. Firstly, I’d had a glass or two of whisky the night before, secondly, I had spent a hefty wodge of cash, and thirdly, it was apparent from the damp, tattered pieces of paper resurrected from said pockets, that I had tried to take note of the drams I was downing. Putting together a list of the whiskies that I remember having is therefore not easy but it's fair to say.......I’d had a few, some of which I bought, many of which were provided free and gratis as the barman was keen to share his favourites with a fellow enthusiast. 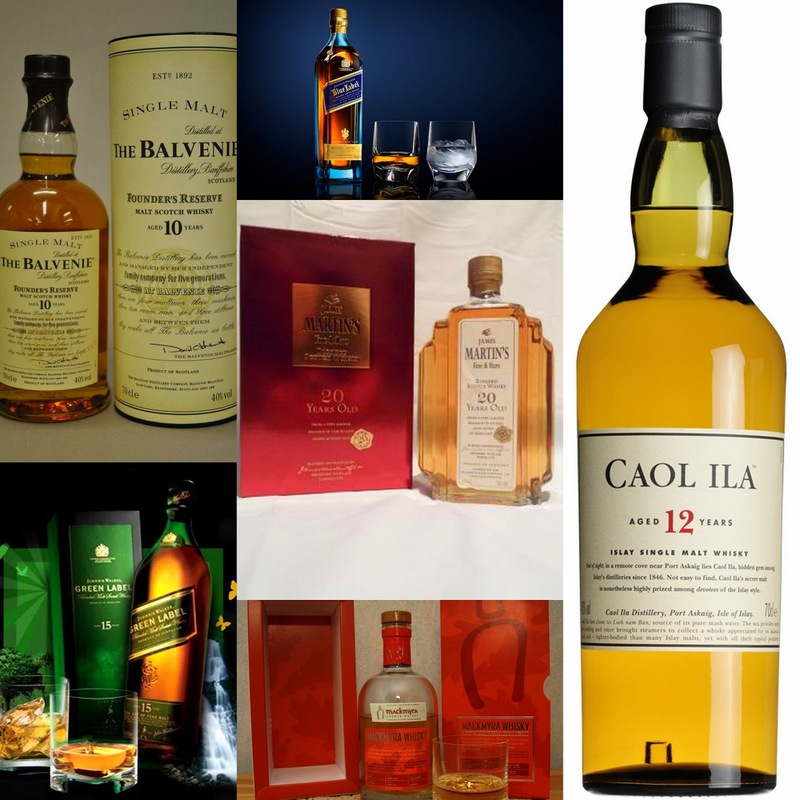 The other thing to note is that, in the drinking of these drams, no whisky measures were used. The pouring of the whiskies was artful and free form, liberal and florid, full of flair, bonhomie, and topped with a Madeiran/Portuguese/English entente cordiale; in essence, each dram was at least a double! Add to that my "palate cleansers" and as I'm sure you can imagine, the evening was somewhat "lubricial". James Martin 20yo – I hadn’t had this before, a really enjoyable dram. Johnnie Walker Blue label – I hadn’t tried this and if I remember rightly, it was offered gratis, as a demonstration of the elevated quality of the blue compared to the green. I do remember really enjoying it, but as for the comparison, my finely tuned critical abilities were becoming somewhat compromised and all I can remember is that they were different – one had a green label and one a blue one! It starts getting tricky here and using the parchment (why was it damp?) doesn’t seem to be helping (Is there a distillery called “Glen Dervish”?). There was definitely a Glen something. Ah yes! 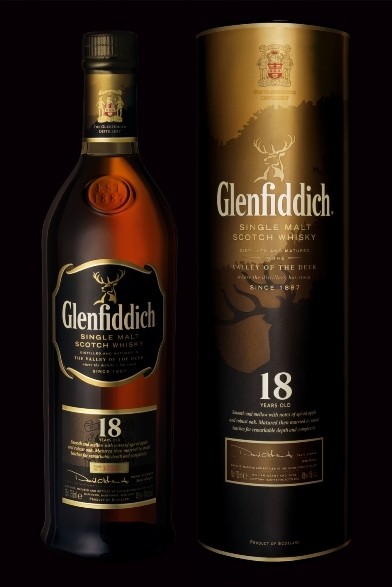 Glenfiddich 18 – An “ever present” on my home shelves. Yamazaki 12 – On my list this looks like “Yamarlarkey” but I’m pretty sure it was the Yammy 12. The conversation is now almost a mystery to me. I can remember nothing other than at one point we talked about our families (I was probably drooling wistfully about how much I loved my wife and two boys), and that, towards the end of the session (we were now past evening and into morning), our conversation led to the revelation of the eponymous tattoo. That episode began with the barman asking me if I liked bourbon. An innocuous question in most circumstances but in the context of the night’s events, this was only going one way. “Mais Oui!” I responded with all the panache of an overweight, heavy headed drunk. From one of the mid shelves, a bottle of Jack Daniels Silver Select Single Barrel appeared, and a measure that doesn’t have a name in bartenderese due to its sheer size, was placed in front of me. 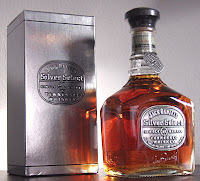 Now don’t get me wrong, I do like bourbon and rye - I’m partial to George T Stagg, Rittenhouse, Four Roses, Knob Creek and many others. However, maybe I’d eaten a dodgy prawn earlier, but I was beginning to feel a little off colour. My faculties were all present but had playfully exchanged roles. My speech was fine but my feet were slurred, and my hands were focused but my eyes were trying to hold on to anything that wasn’t moving. The “mysterious traveller” was trying to maintain a modicum of stability on what was clearly an uneven deck. The barman had begun to speak in a dialect with which I wasn't familiar. I could see his lips moving, I could clearly sense his excitement and passion, his love of bourbon, but the words were somewhat elusive. I reciprocated with large slugs of JD, involuntary nods, glazed smiles, and toothy eyes. I think this was interpreted as both interest and encouragement as, at the pivotal moment of the evening, he bent down, slowly rolled up his jeans leg (right side), to reveal a large tattoo, the words “Jack Daniels” etched lovingly onto his calf. At that moment, in that hotel bar, in that small foreign town, on that tiny island, set in that immense ocean, there was a sense of order in the world – A barman with one trouser leg rolled up, talking to a hapless yet happy drunken traveller trying hard to rewrite gravity? As for the end of conference "concert", well, that's another story whisky!